Two alumni of International University of Business Agriculture and Technology (IUBAT) have received Jungseok Scholarship in South Korea. Obtaining the scholarship, Humayun Kabir and Al Amin left Dhaka to study at South Korea. They completed their bachelor degree from Department of Computer Science and Engineering of IUBAT. This year they awarded Jungseok Scholarship to study Advanced Solid Mechanics leading to Integrated MS-PhD at the Inha University, Incheon, South Korea. Their Supervisor is Professor Chongdu Cho, Department of Mechanical Engineering, Inha University, South Korea and Co-Supervisor is Dr. Nilay Kumar Dey, Associate Professor, Department of Chemistry, IUBAT, and Bangladesh. Humayun Kabir worked as a lecturer and Al Amin worked as Administrative Officer Department of Computer Science and Engineering of IUBAT. 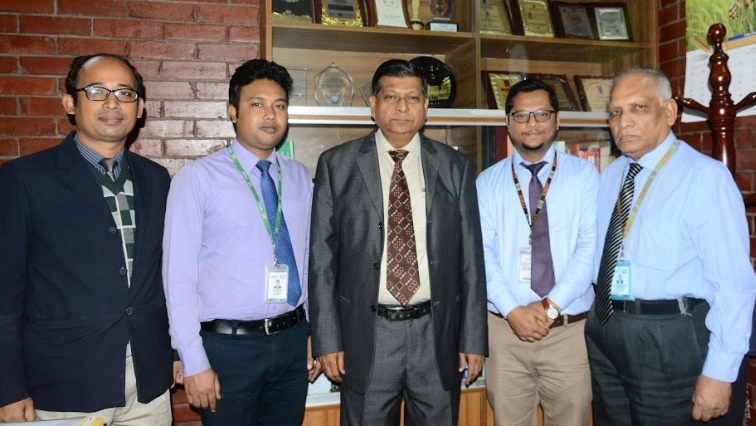 Before leaving Bangladesh they met with IUBAT Vice-Chancellor Professor Dr Abdur Rab. The Vice-Chancellor congratulates them and wishes for their bright future.